Be on the alert, stand firm in the faith . . . 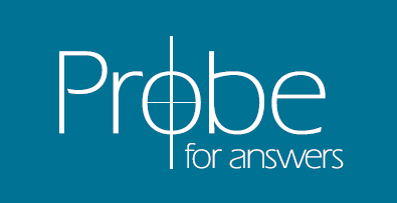 The Up Periscope E-newsletter (formerly called the Probe Alert) is designed to keep you up to date with the latest resources created to help you in your Christian walk. Every few weeks subscribers receive an email with a feature article addressing timely topics. In addition, you receive a heads up on new articles and answers to email added to our website since the last alert. When people are asking “What is a Christian response to this thing that’s happening?” you will be among the first to read our staff’s answers. We’ll also tell you about upcoming conferences and special events so you can participate or encourage others to. Note: the first five items are required along with checking “How did you hear about us.” Be sure and check the Up Periscope box at the bottom. We would appreciate your age and address information, but they are not required to sign up. We respect your right to privacy on the Internet. We will not intentionally disclose your e-mail address to anyone outside of Probe. Your e-mail address will only be used to send you the Up Periscope E-newsletter and other related Probe e-mails.